RwandAir has a special commitment to ensuring that all passengers are treated well, during the entire process from booking your flight to stepping off the aircraft at your desired destination. In a short space of time, RwandAir has increased their number of destinations and is now a visible presence in not only Africa, but Europe and Asia too. 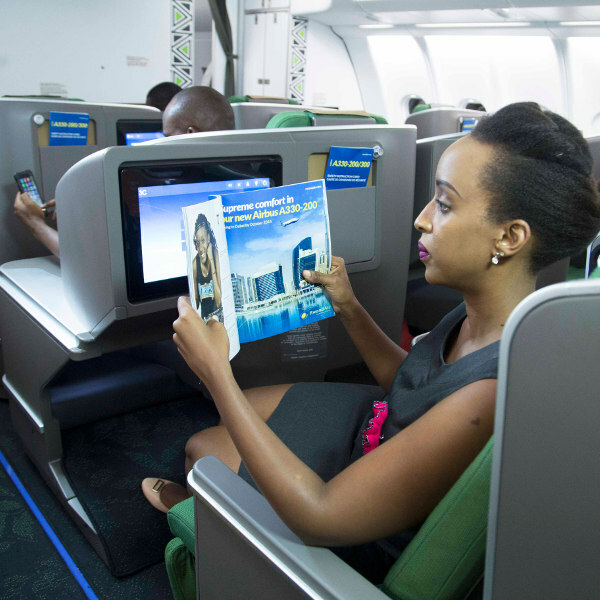 RwandAir is surely one of Africa's leading airlines and has once again beaten many of its competitors in innovation, by offering full Wi-Fi on board all flights. Compared to its global counterparts, Rwanda’s national carrier is still a spring chicken, tracing its roots back to December 2002, when it was officially launched under the name RwandAir Express. A couple of years later a new trademark was registered, dubbing it the easy to remember, RwandAir. 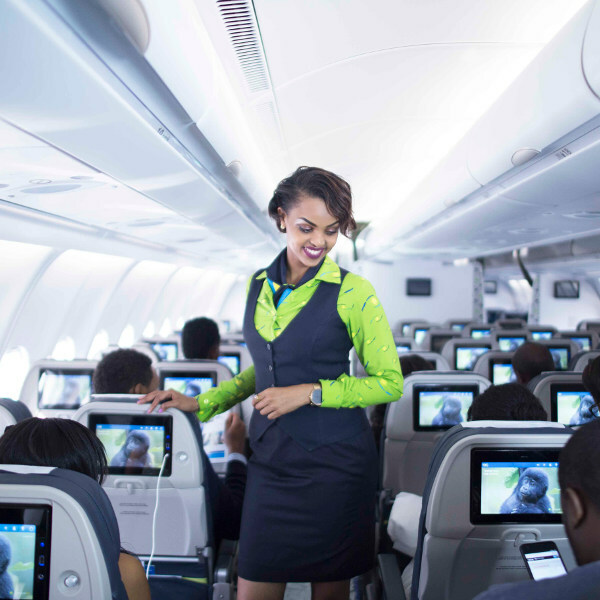 RwandAir aims to connect Rwanda with the world and vice versa, all the while providing unsurpassed, safe and reliable services. Operating from Kigali, RwandAir prides itself in being one of the fastest growing airlines in Africa with one of the youngest fleets Their network currently covers a variety of cities throughout Africa, Europe, Asia, as well as the Middle East. Book RwandAir flights to Kigali, Johannesburg, Lagos and other exciting places! Popular flight routes with RwandAir are from Johannesburg to Dubai, Cape Town to Lanseria and Johannesburg to Nairobi. Each passenger is allowed one piece of hand luggage not weighing more than 7kg. Passengers are encouraged to use the RwandAir online check-in service and save time at the airport. Online check-in is made available between 24 hours to 3 hours before your flight departure time and is available for flights departing from Kigali, Kamembe, Burundi, Uganda, Accra, Lagos, Lusaka, Dubai, Dar es Salaam and Kilimanjaro. All passengers, both adults and children, must be in possession of valid identification documents, their passports, as well as any visas required if travelling internationally. If you are unable to produce identification and any other documents required, you will not be allowed to board the flight. 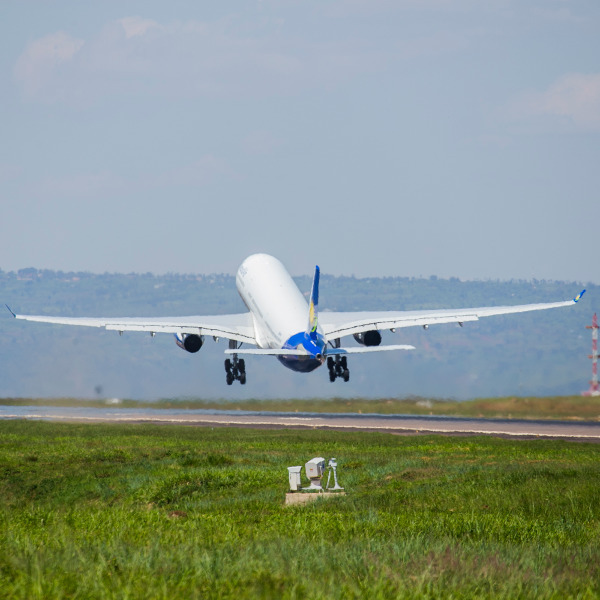 RwandAir operates from its hub at Kigali International Airport, flying to a variety of major African cities including Johannesburg, Addis Ababa, Brazzaville, Lusaka and Mombasa. It also flies to Europe (London and Brussels) and Asia (Mumbai).